I love seeing all the fall leaves; but when I use to live in Minnesota, I hated the racking part of it--such a tedious job racking leaves in cold windy days. 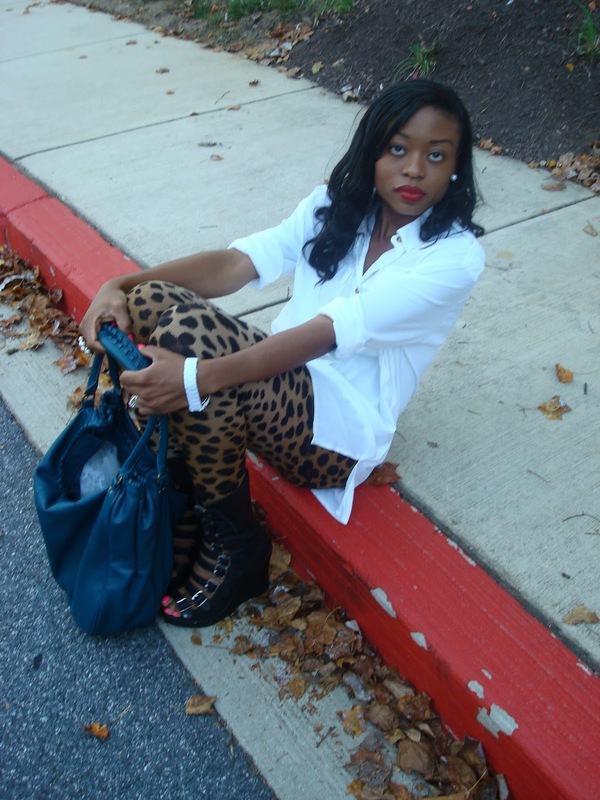 Leggings is a win for me because it's in L.E.O.P.A.R.D.!!! Gorgeous photos! I really like your outfit, those shoes are amazing! hey girl i just got into the twitter scene and want you to follow me! 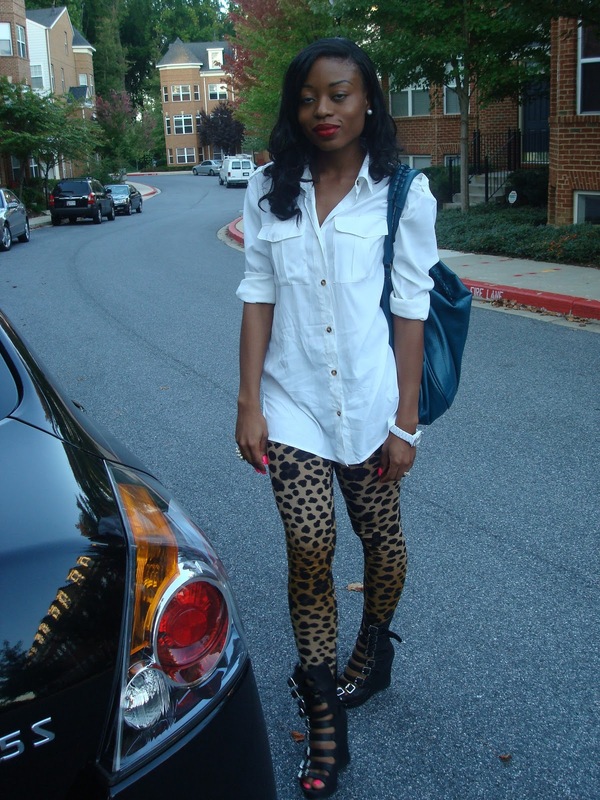 ill do the same bacc tweet name 8t6laura ...by the way those lepord legging are f$$$$ haute! you are one stylish lady! lovin the shoes too (: btw which part of america are you at? isnt it winter already? Wowiee your shoes & legging, like it! thanks everyone for the sweet comment! 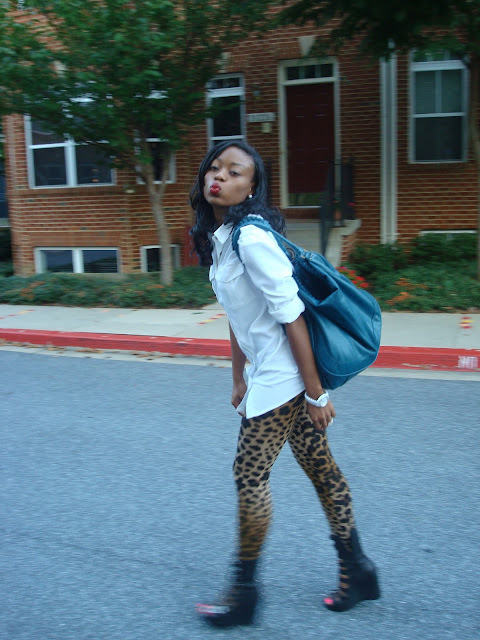 I wish I can pull off leopard anything. I think I can only go as far as wearing leopard flats and even that, is sometimes a bit too much for me. You look fabulous! 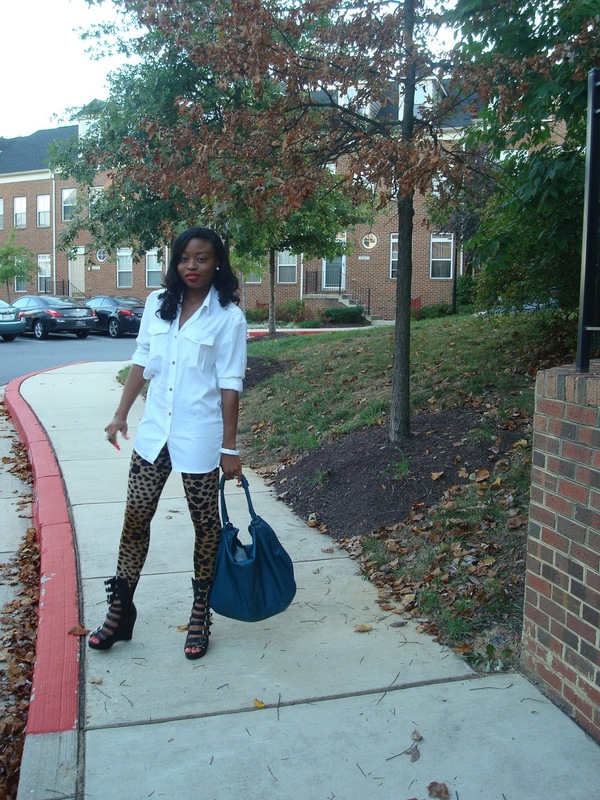 love that mix, one side white calm blouse, the 2nd -these hot leggings and shoes! Wowww youre shoes are soooo cute! awesome tights, leopard print! great styling.